To get right to the point, pressure washing in Chicago can greatly improve the appearance of your home. Whether you’re interested in selling it or just maintaining it, having your home look its best is always desirable. Of course, you can rent pressure washing equipment and do the job yourself. But you might want to think twice about that. First, consider safety. While it might appear to be nothing more than a glorified garden hose, a pressure washer can easily tear into flesh at close range. Second, there’s the potential for damage to your property. Brick, wood and siding can be damaged through the use of too much pressure, and if the cleaning chemicals are not properly mixed, you may do more damage. 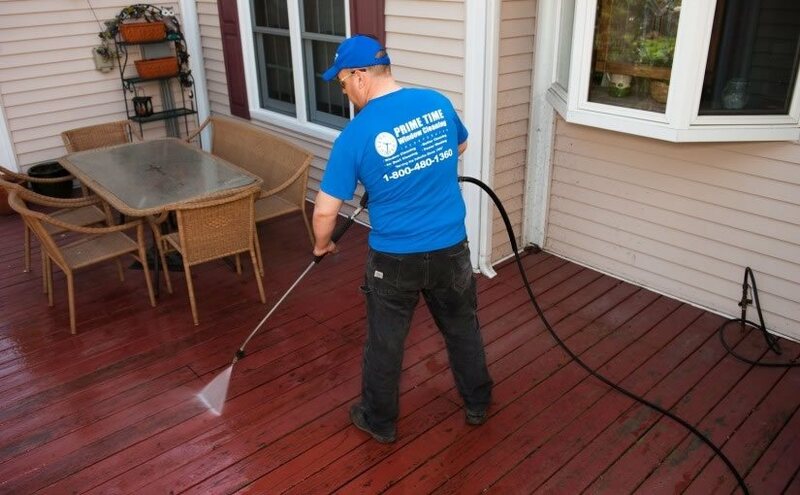 In contrast, pressure washing done by the professionals at Prime Time Window Cleaning not only provides cosmetic improvement, but can also prevent, or at least delay, some major projects like painting, installing siding and restaining or resealing your deck. 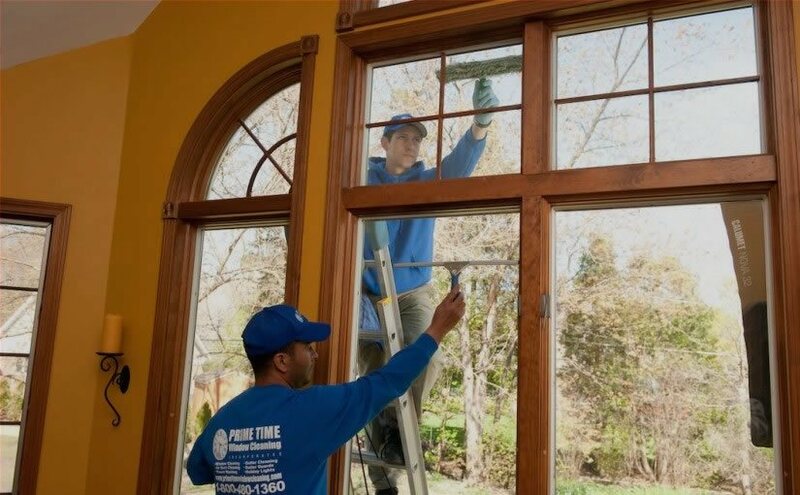 If you do choose Prime Time Window Cleaning for your pressure washing in Chicago, there are a number of things we’d like you to do before our trained professionals arrive. Please close and lock all windows. Please make sure all screens are intact. To protect your outdoor items and for the safety of our technicians, please move or remove these items before our arrival, if you can. Let us know if you need help in moving any items, and we’ll be glad to assist you. Please securely shut all doors including garage doors, storm doors and screen doors. Clear your driveway as completely as you can to assist our technicians in using their equipment. To ensure the safety of our technicians, please keep your pets with you or in some designated area while we’re working on your home. In addition to these preparation tips, there are a few other things we’d like to emphasize. Preventive maintenance can head off costly repairs and add curb appeal to your home. Pressure washing treatment of your house, deck or wooden piers should last 1-2 years, depending on the setting and the elements. We recommend that driveways and sidewalks be pressure washed yearly to keep them looking fresh and clean. For the very best in pressure washing in Chicago, contact us today and let one of Prime Time’s professionals give you a free, no-obligation quote on your power washing needs.